With the burst of Afrobeats on to the international scene, much of the world now looks to the Nigerian music industry as the leading charge to establish a permanent African presence on the global pop landscape. Nairobi – In early January, Judith Akolo, a journalist with the Kenya Broadcasting Corporation, found herself in unfamiliar territory when she was summoned and grilled by the Directorate of Criminal Investigations for retweeting a Twitter message. The original tweet had been posted on Dec. 31, 2015, advertising jobs within the Directorate of Criminal Investigations (DCI) whose mandate is to investigate serious crimes. Over plates of bugali and cups of hot tea, Brabant met with countless militants across the Kivu regions and asked them questions as straightforward as: Why do you fight? 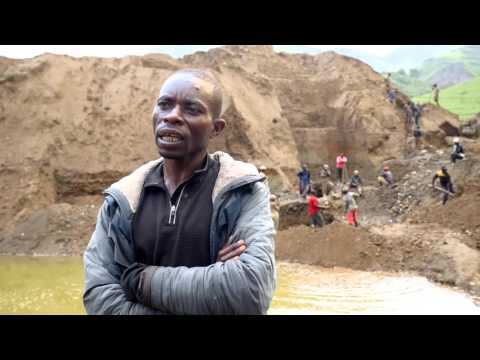 This video produced by the German Catholic Bishops’ Organisation for Development Cooperation, Misereor, and filmed at the Fungamwaka mine in the DRC reveals the working conditions of artisanal miners who extract the minerals that enter many daily life products such as laptops, smartphones and other electronic devices. There has been plenty to celebrate in Africa this year, from successful elections and brave new leaders, to winning the fight against Ebola. With his gravely flow, gliding over foreboding beats, Art Melody has always been one of the more commanding voices out of, and for West African Hip Hop.